I love baked oatmeal! It takes 5 minutes to prepare, then I stick it in the oven while I hop in the shower and get ready for the day. I use Wean Green glass containers to make these. 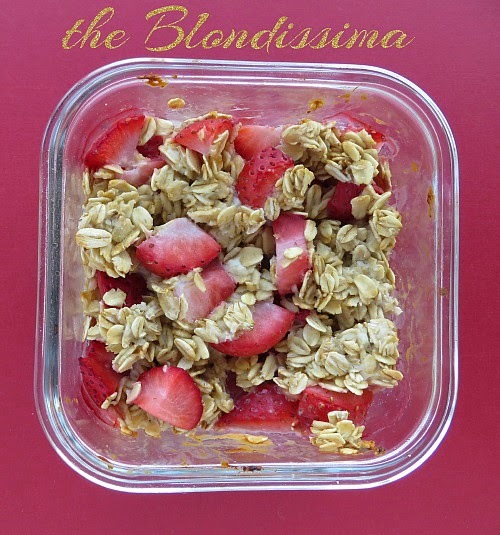 This recipe creates a creamy strawberry oatmeal. Mix the cream cheese, honey, vanilla together. Then add the milk. Mix the dry ingredients and pour into the ramekin. Then add the wet ingredients. Chop the strawberries and fold in. Another one of my favorite breakfast recipes are lentil cakes.